The Lifeguard. An almost-30 young woman moves back in with her parents after coming on to harder times and finding that adulthood didn’t bring the same happiness as times past. After beginning a rather risky and dangerous relationship with a teenager, she is faced with times of self discovery and turmoil as relationships and reality seem to fall apart. Starring Kristen Bell, The Lifeguard goes on duty on August 30, 2013. Only God Forgives. Here’s the latest trailer for the Nicolas Winding Refn (Drive) directed thriller starring Ryan Gosling as a brother on a path of vengeance over the brutal death of his brother. Driven by the tenacity of his mother, Julian (Ryan Gosling) takes his underworld criminal lifestyle further while in Bangkok to find those responsible for his brother’s death. Look for forgiveness and ask permission to see this one on July 19, 2013. The Best Man Holiday. Following 1999’s The Best Man, this sequel takes place 15 years later and the group of friends reunite and discover forgotten romances, infatuations and rivalries. Starring Terrence Howard, Morris Chestnut, Sanaa Lathan. Taye Diggs and more, may the best man win on November 15, 2013. Snowpiercer. Check out the newest short trailer for director Joon-ho Bong’s upcoming futuristic film starring Chris Evans, Alison Pill, Tilda Swinton, Ed Harris and a WHOLE lot more well-known actors. Follow the efforts of the last survivors of the world who exist on a train and are separated by their social classes. An uprising ensues and all order and survival are up for grabs in this post-apocalyptic film that is set to release sometime this year. The Seventh Son. Based on a book series, Jeff Bridges and Julianne Moore star in this fantasy adventure in which a young man is taken to be the apprentice of a mystic in order to continue the fight against evil spirits in this 18th century adventure. Will evil prevail against the “Seventh Son”? Find out when it hits theaters on January17, 2014. Austenland. My sister and several others of you will undoubtedly enjoy this film about a young Jane Austen fan and her fascination with creating and living out her very own romantic adventure in true Jane Austen form. Keri Russell stars alongside Jane Seymour and several others as she seeks for the proper suitor worthy of the name “Mr. Darcy.” This cute romantic pseudo-timeperiod comedy is set for a release later this year. Saving Mr. Banks. Tom Hanks stars as Mr. Walt Disney alongside Emma Thompson, Paul Giamatti and many others in this delightful story of what it took to bring the story of Mary Poppins to the classic film that is beloved by many now. No, I’m not referring to Andrew Garfield possibly proposing to his longtime girlfriend and co-star Emma Stone. Just this past week, Andrew Garfield jokingly…and not jokingly…made a suggestion for a big change for the character of MaryJane Watson. Rather than get into it, I will let you watch the video below, courtesy ClevverMovies. 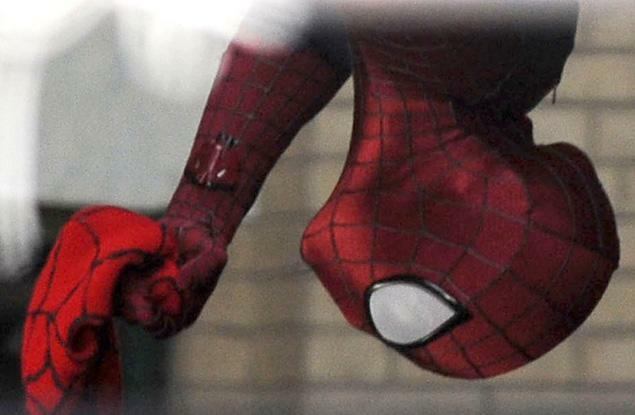 We’ll have to wait for the third one as The Amazing Spider-Man 2 has already wrapped filming and is scheduled to release on April 17, 2014. My favorite trailers from today: Saving Mr. Banks, The Lifeguard and Austenland. Limited Release: V/H/S 2, The Hunt, Dealin’ With Idiots and more. And the spiderman thing seems like such a non-issue to me. It seems obvious garfield was oking about it, and even if he wasn’t i would be fine with Spiderman being gay(Although i think if they did have a male MJ that would make Parker bi, not gay since his relationship with Gwen was already established). But personally i am not opposed to a gay or bisexual Spiderman. Writers new versions of superheros all the time,so its not like fans wouldn’t have a straight SPiderman they can come back to. And i don’t think changing parkers sexuality changes any of the core aspects of Spiderman….so really i don’t see the big deal here. And i found having Parker stealing a random kids id, standing up to flash before he even got powers, and making him a destined superhero in the Amazing Spiderman to be far worse changes. As you may be able to tell i wasn’t really a fan of the reboot and at this point i would take a bisexual Spiderman over them plugging god knows how many villians into the sequels. Thanks Julian for adding your thoughts. Lifeguard def has my attention. Snowpierced looks awesome! And I’ll watch pretty much anything with Kristen Bell. You mirror my thoughts exactly…although I didn’t like Hit & Run with Kristen Bell. ha. Thanks for the comment and for watching. 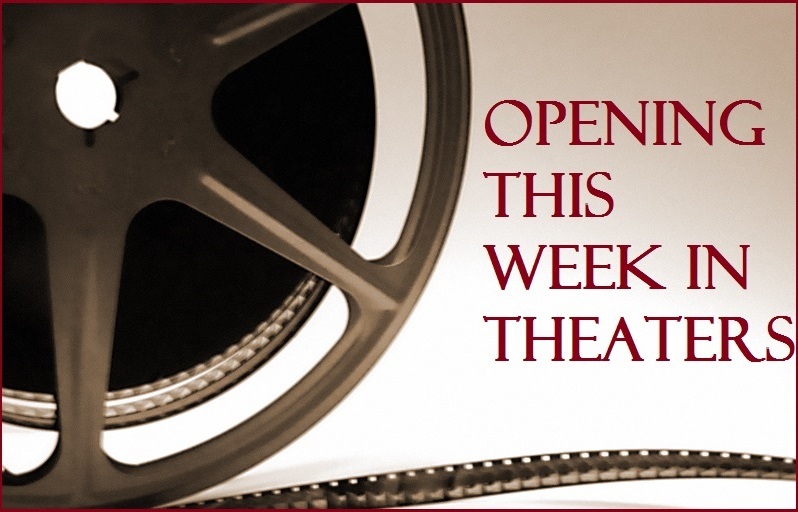 So many awesome trailers this week! Snowpiercer looks intense, Saving Mr. Banks looks awesome and Austenland with Keri Russell has be sold 🙂 The Seventh Son is one that I`m usually attracted to and it has Julianne Moore and she usually is pretty good! Some great trailers. I definitely agree. Thanks for stopping in, Kim and sharing your thoughts. The more I see about Snowpiercer…the better it looks.